Apple is about to take a bite out of the fitness industry, it seems. With the impending introduction of iOS 8 later this year, experts speculate that Apple will introduce Healthbook, an extremely detailed app that may be able to track everything from a user's heart rate to their blood glucose levels. The app is expected to work in tandem with Apple's long-awaited iWatch or other devices. The leaked photos of Healthbook's design are tantalizing for any fitness nut. Its capabilities are extreme: The app is supposedly able to monitor blood pressure and sugar levels, and it has a handy emergency card section, where a user can list all their personal information. It'll feature a sleep tracking system and a physical activity area to track your exercise routines. 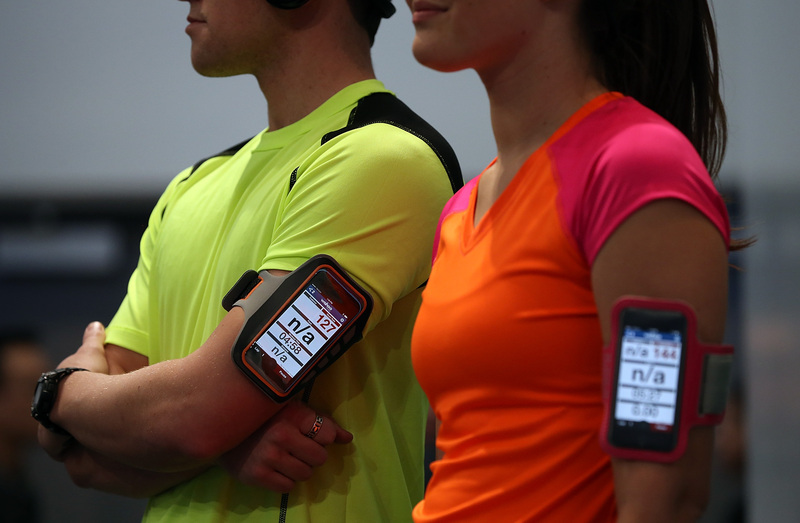 Plus, it'll be able to measure hydration, nutrition, oxygen saturation, and weight. The fitness tracker industry, dominated by FitBit, generated about $85 million in 2013. Will they feel the pinch once Healthbook is rolled out? Well, FitBit's CEO and co-founder James Park told ABC that fitness buffs want a device that does more than just crunch data. There will always a subset of people who will want as much tracking as possible. They like to quantify self and track every last aspect of their lives. However, most people are interested in achieving their goals — you don’t need to go too overboard to do that. ... Consumers consider other things besides data. They are also looking for motivation and fashion. Herb Baer, the president of Polar USA — another company that makes fitness trackers — agrees with Park's assessment. He told ABC that a tracker is only valuable if it can spit out more than just numbers. We are not in the camp of cramming as many pieces of technology as we can into a product... Bombarding users with numbers does not help them understand what's really important. And numbers, in isolation, are of little value. This is why we’ve made it a priority to take numbers and turn them into useful information that helps users get and stay active. Furthermore, the iWatch that Apple is rumored to be unveiling soon? It might not even exist, as Forbes' Philip Elmer-DeWitt suggests. He adds that the card-like system of Healthbook might not really gel with a watch's interface — especially one that famed Apple designer Jony Ives would approve. Nonetheless, this concept design of Healthbook by an Apple devotee (not Apple itself, FYI) is pretty damn sleek.